Indeed GWMT is a wonderful resource to know stuff we don't know about our own site. I believe you feel better to know how to use it for your own advantage rather than giving up on it claiming it's too advanced or technical for you. It's time for us to review your site and optimize for Google search. 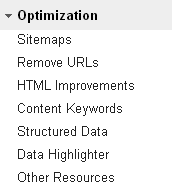 Now we are gonna optimize your site for Google search and make necessary changes at Optimization section. This is another important section to look at as it gives you more control over search results related to your blog or website. Further, it will reveal some interesting information which will help you to improve user experience of your site. Enough talking. Let's start exploring. You don't need to instruct Google to crawl and index content on your blog or website. Instead, Googlebots will find your content though it could be time consuming. However, still Google can miss some or indexing can take longer than usual. XML Sitemap aka Sitemap contains list of all URLs of a site and it's a great way for search engine bots to discover all pages of a site without spending time following backlinks and internal links, or stopping by on regular intervals. Sitemap page allows you to submit Sitemaps of your site to Google. 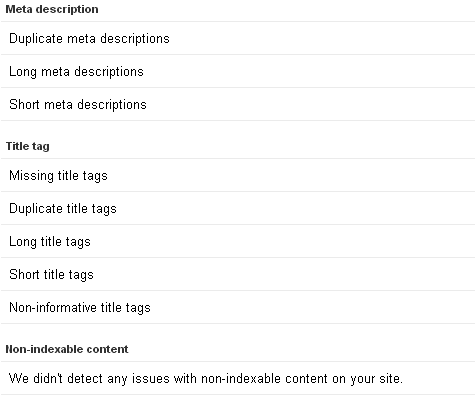 Even if all pages were indexed already, it will display any issues associated with your Sitemaps too. Google won't scan through your Sitemaps once they have been submitted. It will take some time to process your Sitemaps and will proceed to crawling and indexing afterwards, which will take time. Submitting your Sitemap can be most effective if you found some of your URLs were not indexed by Google or if you just moved to a new domain or subdomain where all URLs need to be crawled from scratch. To add a Sitemap, click on Add/Test Sitemap button on right and fill out rest of the URL of Sitemap. Once you entered the URL, click Submit Sitemap button and it will be listed below table. If you are not sure about Sitemap accessibility or URL, you can click Test Sitemap instead. The table will show you weather the Sitemap is processed or not. If Google found any issues with your Sitemaps, they will be listed under Issues column. Also you can view how many pages were submitted via Sitemaps and how many URLs were already indexed by Google too. A great way to know if all pages were indexed or not. Further, you can click on Sitemap link to access more specific details about your Sitemap. If you made any changes to your Sitemap or site structure such as removing content pages, it's always a good practice to resubmit your Sitemaps. But don't do it too often and when there's no reason for resubmission. Remember, it's not a quick process. Let's say you have removed some content pages from your blog, but still appears in Google search results occurring 404 or page not found errors for visitors. What would you do? You don't need to worry about it in most cases as Google will remove your page from search results, the next time it comes to crawl the page, and when Googlebots get to know that URL is no longer available. But what if you don't wanna wait until Googlebots visit and crawl your URL? Remove URLs tool is exactly what you need. It allows you to remove specific URLs of your site from Google search results. Not only a page, but also you can remove all URLs within a directory without entering URLs one by one. In specific scenarios, if you need to remove a cached version of a page stored by Google, you can remove it here too. Simply, a cached version is, not the up-to-date version but an older version of your page. Just go google your site and access cached version of it by accessing the menu clicking the arrow next to the URL in search results. If you wanna remove a page from Google, it's very simple. Click Create a new removal request button and enter the exact URL you need to remove. You know what's next. Click, Continue. On next page, you need to specify whether you wanna remove the exact URL, its cached version or whole directory under Reason. Remove page from search results and cache - This option will remove indexed page from Google search results including its cached version. Before you submit the request, make sure either the page has been removed from your site or blocked from search engines. Else it will be recrawled and reindexed later on. Remove page from cache only - You already know what's the cached version of a web page by now. This option allows you to remove the current cached version of a page. Why someone wanna remove a cached page? Good question. Imagine if a page on your site been revealing some sensitive information, but you managed to delete them today. However, still the cached version contains that specific information. Even removing the cached version will assure that no one will have access to your sensitive information by any chance too. Remove directory - It's not about removing a single page, but a directory with multiple pages. It can be your entire site too. But you need to make sure that the specific directory or site is already blocked from search engines or no longer available online. Else they will be reindexed later on. Once you select the relevant action for your removal request, click Submit Request button. 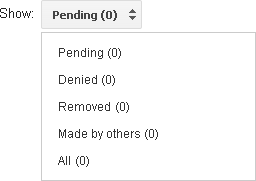 The pending requests will be listed and displayed by default. You can navigate through requests you have made from the drop down menu on right. This is self-explanatory. As Google crawls your pages and access information lies within the source code, it will list out identified issues or suspected problems possibly affect on your site's user experience. Google knows how your content performs on Google search. Last time we did talk about GWMT displaying search queries related to your site. You were able to explore through most of related search queries and it listed the content pages being displayed on Google search results for each query too. Now it's about keywords. As Google crawls through your site pages, it will keep track of significant keywords it finds and list out here. Clicking on each keyword will allow you to see more details such as occurrences, variants and top pages which includes a specific keyword. If you are focused on targeting your content with on-page keywords or its variants, you can make use of the information here to see how well your strategies working with Google search too. Using structured data properties in pages allows content to be more descriptive and it helps tools such as search engines to understand content more specifically to deliver better search results. If you are familiar with OpenGraph, Schema.org or Microformats, you know exactly what is structured data markup about. But to be simple enough, imagine what happens if we don't use HTML header tags for headings on a web page. Search engine bots are not smart enough to know about it unless specified. Like the HTML markup, structured data properties can be used to describe or tag even a small piece of details on a page beyond what HTML markup is capable of. 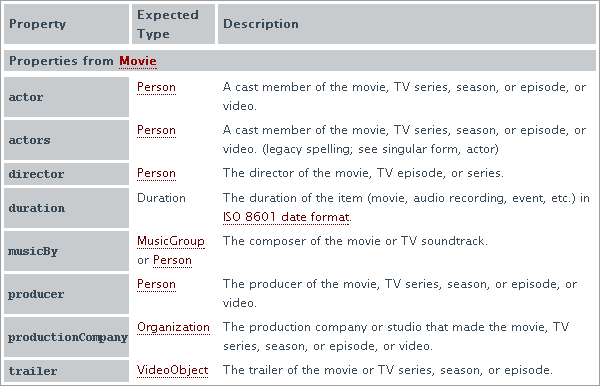 Let me show you some structured data properties available to describe about a movie using Schema.org. If you are writing a movie review and includes the name of director in there, you can use director property to specify or tag that name as director. The text is only Steven Spielberg and rest is Schema.org markup to describe the information. I just wanted to give you a basic understanding about how structured data types work as I believe it will be helpful. You don't need to worry about it much if you don't know about using structured data, but keep the idea in mind. If you have already specified structured data properties on your content pages, the used data types will be displayed in Structured Data page along with the markup name. As GWMT claims, currently, it's able to pull up and display following structured data types if tagged. Currently, by default, Blogger uses Microformats and Schema.org markups. So here's how mine looks like. Yet, the discussion about structured data is not over. Data Highlighter is a new alternative offers by Google for webmasters to tag structured data on their pages without using any of above discussed data types or markups. It makes the process very easy and all you need to tag relevant data on your page by using mouse clicks. Watch the video below, and you will get to know about it better and how simple it is. Though it's simple and easy to follow, if you gonna apply it to all your pages, it will be a time consuming process. Anyway the BIG problem is that the tagging done with Data Highlighter will be read by Google only. It serves Google but no other search engines or services. If you are happy with Google search, you can proceed with it rather than nothing at all. To get started, click the Start Highlighting and you will navigate to Data Highlighter. Rest is self-explanatory and you already know as it's shown in the video too. 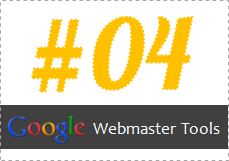 Here you will find some interesting resources for webmasters. Structured Data Testing Tool is a tool like Facebook Debugger to test against structured data markups such as Google authorship and rest of resources are helpful especially if your site is related to business and need more visibility online. Hello Mayura, You've seems to cover all there is about Google webmaster tools my friend that great. I have not spend much time using them but maybe when I have a bit more time I will look them over. Thanks so much for such a great read. Thanks Mayura, did you know they have been issues with Google webmaster tools? I wonder if Google will do away with them. Anyways I'm curious about it and a little lost not having that feature on several of my accounts. Have yours been working fine the past 3 weeks? Thanks for sharing more useful info on these tools. I know that my blog's XML sitemap is submitted to GWMT through the Yoast plugin. I did try to remove few redundant pages using the Remove URLs feature, however, that was long ago, so thank for reminding me how to do that. I don't think I've tried out the HTML improvements and the structured data, which remains out of my understanding. But I did look up the content keywords and they seem very different than the Adword keywords. I suppose these are not the money keywords. I really don't know if Data Highlighter will be of any use to me. But at the end, I did gain up some information that might be useful. More good stuff mate. I'd forgotten how to remove URLs from search results and I've got a few to look at now. I just noticed though, as Lisa mentions that mine aren't showing up. It shows 18 to review but 0 when I go in to look at them. Oh dear! Now I know what it's for and I've put it on my to-do list to remove those URLs. Thanks for all you've showed us. Your posts have made it very easy for me to get to know GWT and I find myself visiting it more often than I used to. Bravo Mayura... Another fabulous share on this very confusing program. I've been in it so much now that I know how to do the main stuff. I just removed a ton of links a couple weeks ago of tags that were showing up that another friend told me Google was seeing as duplicates. So glad I learned how to do that. This looks like a fantastic series that I'm going to have to go back on (to part one) and follow it through. I do use webmaster tools but I know I've got loads to apply over there to get it set up right. I've recently been clearing my blog of old broken links and general crap. I've also removed all of my commentluv links as they were showing up in Attracta as duplicate content.... So I should think that Google saw them the same way. Mayura - Nice follow up on the series dude. Submitting sitemaps is one thing I do manually as well, I do have the plugin which submits every day or something, but I would rather do it after I publish every post. Thanks for a wonderful explanation once again mate. waiting for this another tutorial of this series . :) thanks for writing. That's a fantastic series about GWMT. I have to go back on (to part one) and follow it through. While implementing part one something stopped me so I didn't continue so now I have to go back from the beginning and invest the time to look them over. Thanks Mayura for sharing this great series with us. You rock! Thanks so much for this, Mayura! You make everything so clear and this is very important information. When I went to Content Keywords, GWMT said no data available. That's really bad, right? I mean if Google can't find keywords on my blog, how are they supposed to find my articles in search results. Yikes! Yeah, Yoast plugin generates XML sitemaps automatically and notify about the XML sitemap for search engines dear. Eventhough it pings your sitemap, by adding it at GWMT, you can find how many pages were indexed or need to be indexed Harleena :) Wouldn't that be cool? Hence you can see if your latest post not yet indexed or not too. Cool... That's easy to remove pages when you know how Harleena :) I've been doing that most of the time as my posts depreciate. Am I flooding with all these stuff? :) lol... I hope not. Now, go on and remove deleted pages from Google :) However if it's long ago, probably Google might have deleted 'em as it get to know that pages were not available anymore. Thanks mate. I hope the series will help folks in some way to get most out of GWMT Barry :) Ah... Yes! GWMT has lot of tools and features to check out and you can get to know about more hidden factors about your own blog. Who know well about Google search rather than Google itself, no? :) Hope the series will help you on optimizing your blog for Google too mate. I hope you are enjoying it and now if you apply and optimize your blog for Google using GWMT, that's what I'm talking ;) You can get more out of it and rank well on Google mate. Thanks for coming over and sharing your comment Mosam :) Appreciate your compliments too mate. I remember you mentioned about an issue at the first post :) I hope you will able to through it when you have time there dear. Well, of course you can come and ask here if you need any help on it :) Already some friends did it on WordPress and you can do it easily too. Well, did you try submitting sitemap in GWMT dear? It will help Google more to explore through the pages and possibly start listing keywords too. You can see if all your pages were indexed too. Sometimes if there's any errors in your pages, keywords won't be shown. As I look through your blog source, I've found some duplicate meta tags were placed in there Carolyn. AND with different values. I'm not sure it's the 'cause and I'll dig more, but generally duplicates is not a good practice dear. It's better to get rid of duplicates and keep what you need to have :) May be you are having multiple SEO plugins installed? Thanks for coming by and sharing your views about GWMT Raghu :) Really appreciate letting me know about the issues you have come across too mate. I agree with you :) Some stuff here is quite complicated and actually you don't need to go with everything. Just have an idea about the features. I thought video is excellent too Sue :) Simple enough. I'm glad you enjoyed it and got an idea about it too. Everyone doesn't know even if they exist :) You are few steps ahead. Cheers, Mayura - I promise I won't ignore my sitemap! Indeed, I am using sitemap since I start Mediacrayon but leave it to Google's hand to index and not doing any manual submission. This looks quite intersting and make sense since Google don't need to wait or search for the sitemap. Let me surely try since I haven't try this before. Most time I go and check last crwal date & time and status # and feels Google bot doing fine. Sorry for coming late to this party! Been away for two weeks. I have gotten rid of a lot of links a few weeks ago when Adrienne told me a bit about what was going on. Phew...what a job! Now, more work to be done. I didn't know I could remove a post from Google. I have one that is giving me a headache and now I can understand how to get rid of it. You have covered Google webmaster tools so well and as usual, I book marked this to do more work on it. easier for me to understand. Really glad to hear that from you dear :) I believe I'm successful from my end with this series as it helped some bloggers to get started with GWMT who used to hate it for being hard to understand.